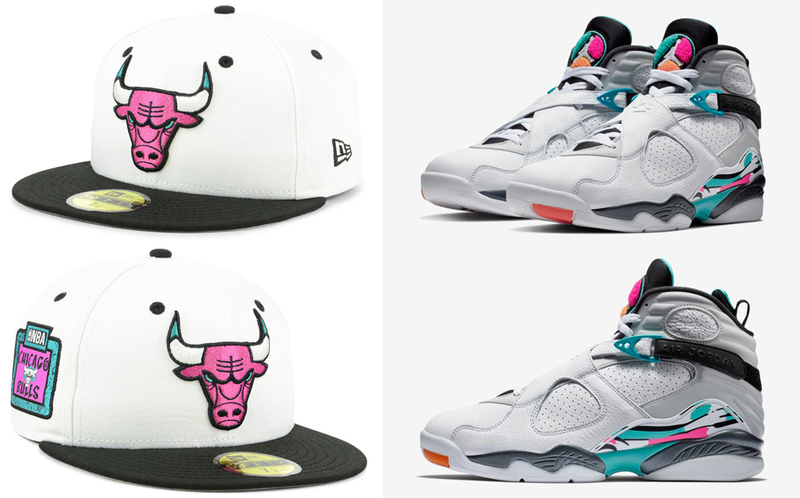 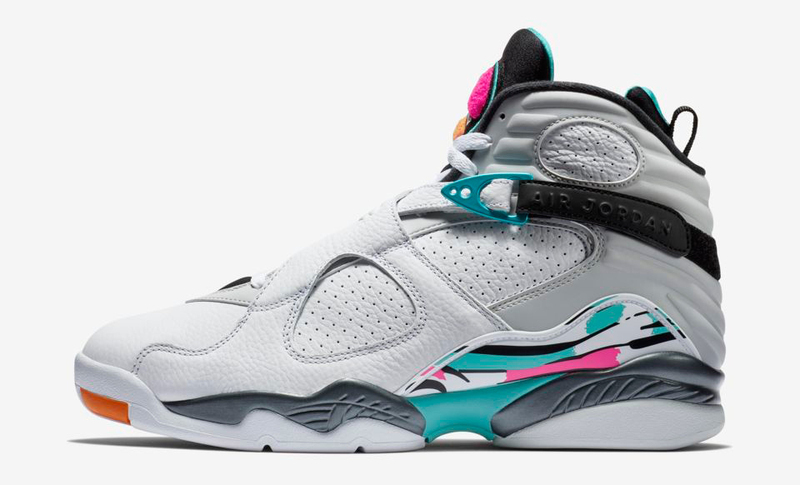 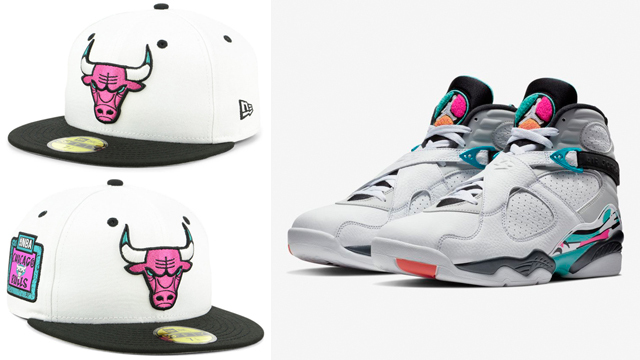 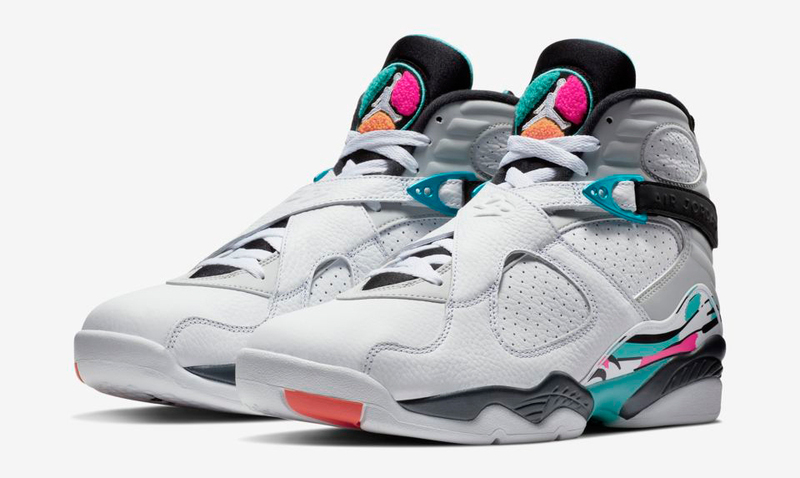 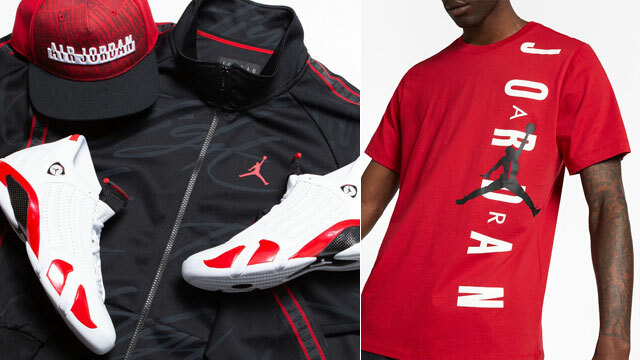 Top off the Air Jordan 8 “South Beach” sneakers in colors to match with this Chicago Bulls New Era NBA 90’s Throwback 59FIFTY Cap. 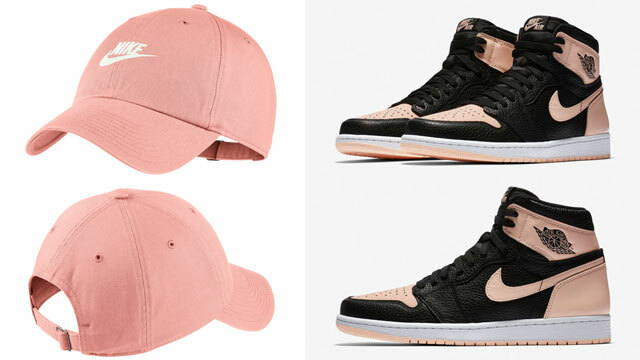 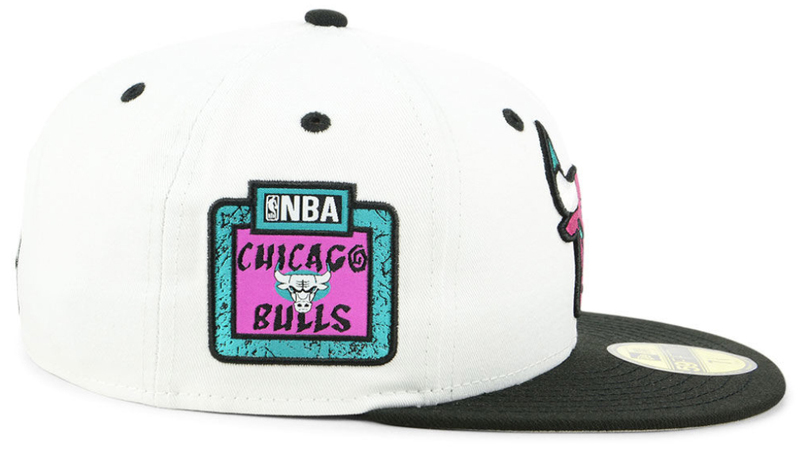 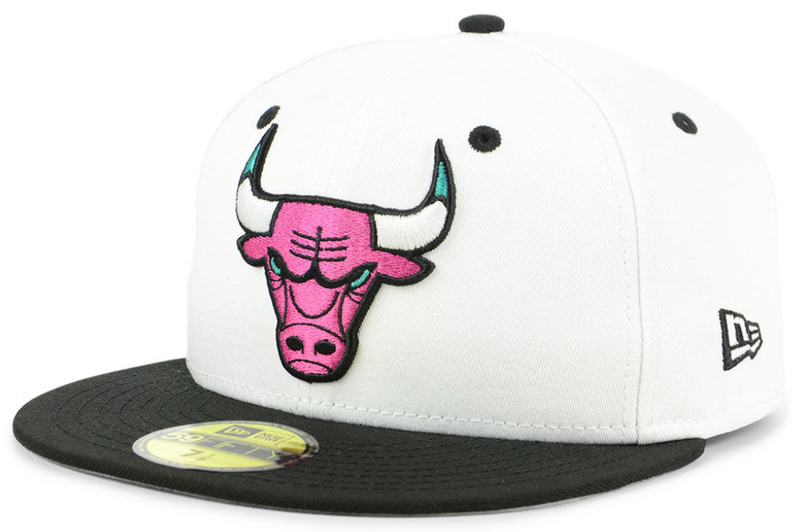 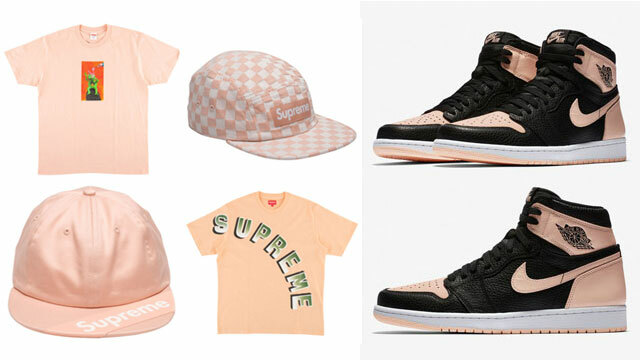 Mixing classic South Beach colors with retro Bulls style, this New Era 59FIFTY fitted hat has pink and aqua accents to match the colors on the kicks, with a throwback Chicago graphic on one side, New Era flag on the other, and NBA logo at the back. 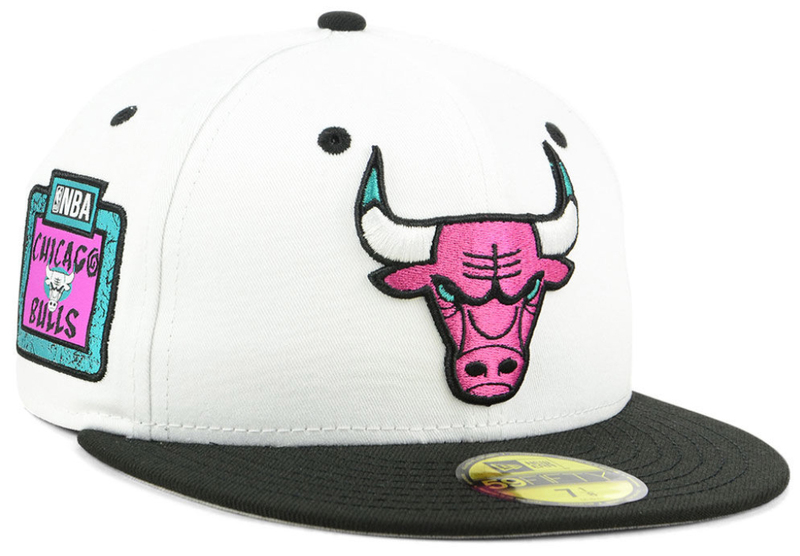 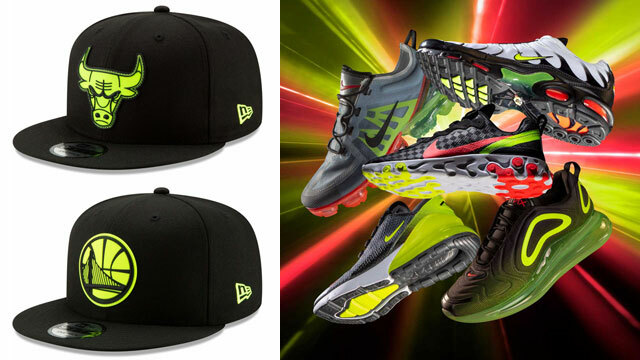 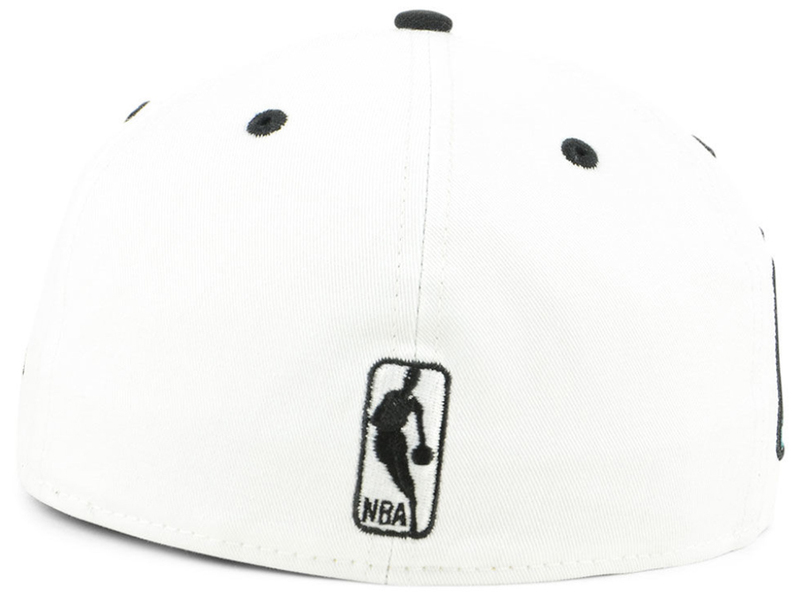 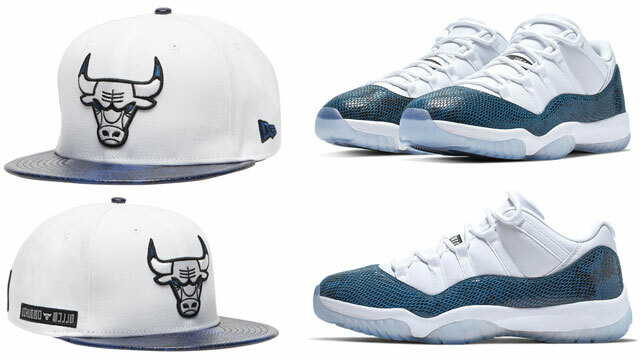 You can cop the New Era 59FIFTY Bulls Cap below.